We acknowledge that popular media plays an important role in influencing and shaping public perceptions on certain matters. Therefore, we decided to include other forms of media in which the Lost Boys of Sudan have been featured. There have been many books published about the stories of the Lost Boys, but the most well-known work is “What is the What,” by Dave Eggers. 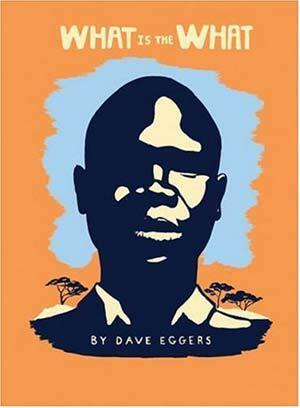 Eggers’ book documents the life of Lost Boy Valentino Achak Deng, and this work has received numerous acclaims including the Prix Médicis Étranger award in 2009. Eggers chose to define his work as a novel rather than an autobiography in order to generate conversations, streamline complex relationships, and add relevant detail and manipulate time and space to make the story more cohesive and easier to read. However, because Eggers defined his book as a novel, critics debate how much of the book is fact and how much is fiction. In addition to other literature about the Lost Boys, there are a number of radio shows that incorporate Sudanese refugees into their programs. NPR (National Public Radio) reaches about 26.8 million listeners every week and often speaks with Sudanese Lost Boys on its radio shows. One example is “‘Lost Boys of Sudan’ Finally Find a Home” (2005) in which three Lost Boys recall their journeys from Sudan to the United States. This radio show is especially vivid because the Lost Boys were able to speak freely, rather than be constrained by English texts or translations. It is particularly useful that NPR audio clips are often accompanied by transcripts. This makes the radio show all the more accessible to the public. The Lost Boys Foundation of Nashville sponsored an art exhibition titled “Africa to America- Unity in Art” in the Nashville airport, and various blogs mentioned this event. This exhibit was reported on okayafrica.com, a blog for reporting developing stories in Africa and stories of African American empowerment in the states. The exhibit was additionally mentioned in a travel blog titled “Stuck at the Airport” by Harriet Baskas, a writer and award-winning radio producer based in Seattle, Washington. The Lost Boys have been featured in many documentaries. Notably, the autobiographical documentary “War Child” premiered at the Berlin Film Festival in 2008 and received a standing ovation. Additionally, the Lost Boys have been referenced in a number of popular television shows. In 2004, two Lost Boys appeared on the “Lost and Found” episode of 7th Heaven. Similarly, two Lost Boys appeared as supporting characters in the 2007 episode of Without a Trace appropriately titled “Lost Boy.” Finally, the 2010 NCIS: Los Angeles episode “Breach” pertained to the Lost Boys.